10 Best Essential Oils for Circulation and Improved Blood Flow! Improve Blood Flow with these Essential Oils for Circulation! 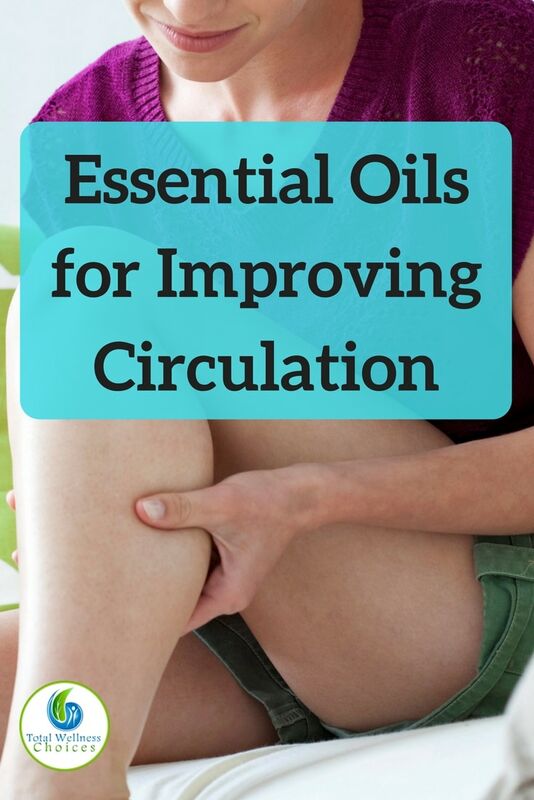 Utilizing essential oils for circulation can help increase blood flow in your body. 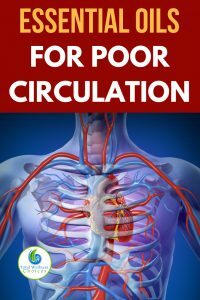 Truth be told, poor circulation can lead to decline in your general health! Not only does malfunction in your circulatory system cause discomfort, it also can lead serious health problems. When there is proper blood circulation, every part of your body receives the oxygen and vital nutrients it needs to function optimally. On the other hand poor circulation prevents the free distribution of these vital nutrients and oxygen. 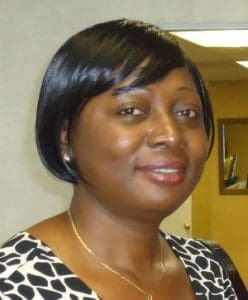 Any part of your body that is deprived of oxygen and nutrients is bound to be impaired or at the very least will be unable to perform its functions. Just imagine what will happen if your brain is not able to get enough oxygen for a prolonged period of time! Yeah, it sounds scary, doesn’t it! Cypress helps to reduce inflammation in the body. When used topically, it increases flood flow, which helps to reduce swelling, aches, cramps and pains. 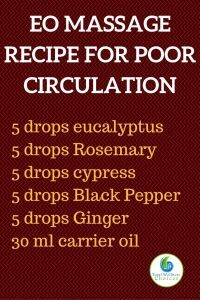 This is one of the best essential oils for poor circulation. It produces warmth, which helps to improve blood circulation. 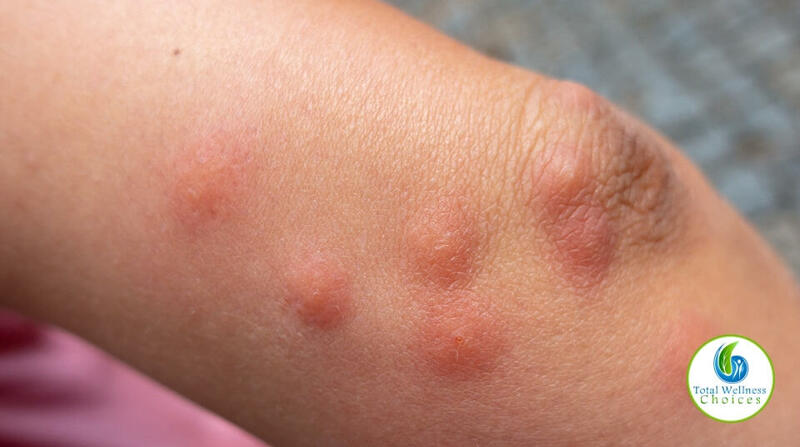 It also contains anti-inflammatory properties that help to reduce pain and stiffness. Eucalyptus helps to relax blood vessels, thereby improving blood flow. 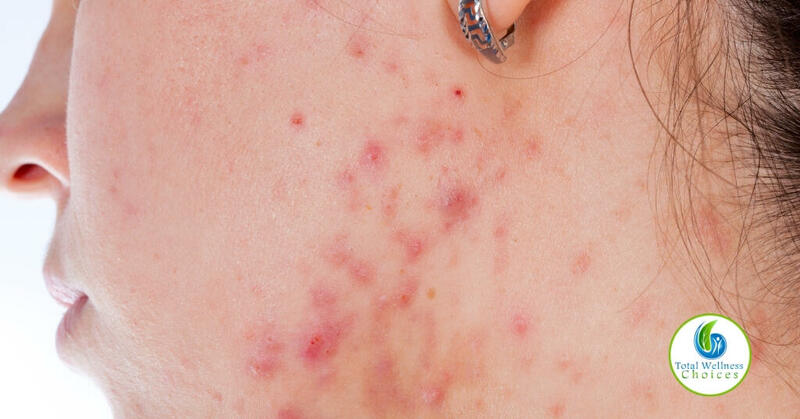 It is important to note that poor circulation also leads to accumulation of toxins in the soft tissues. 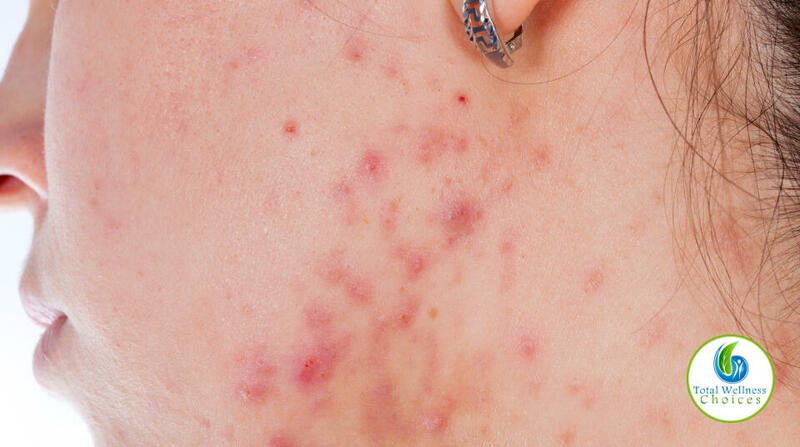 Toxin accumulation causes pain and aches especially in fibromyalgia sufferers. Little wonder eucalyptus is among the best essential oils for fibromyalgia pain. Eucalyptus oil may also help to boost blood flow in the brain. So it may be helpful for those who want to increase brain power and alleviate mental fatigue. A great muscle relaxant, Citronella helps to improve blood circulation and is helpful for combating muscle cramps, spasm and pain. Coriander is anti-inflammatory, anti-spasmodic and an effective pain reliever. When used topically, it can help improve circulation and relieve joint pain. This has anti-oxidant, antiseptic, anti-inflammatory and other properties that help to stimulate blood flow and alleviate pain. Helichrysum is rich in anti-oxidants and anti-inflammatory properties. Not only does it help to improve circulation, but it is also great for relieving pain and swelling. Peppermint oil is very versatile. It is great for oral health, arthritis pain and of course for increasing circulation. Its anti-inflammatory properties make ginger a good choice for relieving muscle cramps and joint pains. Rosemary oil improves circulation, boosts digestion and reduces cramps. It also helps to improve memory and cognitive performance. Although these essential oils may help relieve some of the discomforts associated with poor circulation, they are not meant to cure the underlying causes. So you need to consult with your doctor to diagnose and treat the underlying cause of the dysfunction in your circulatory system.